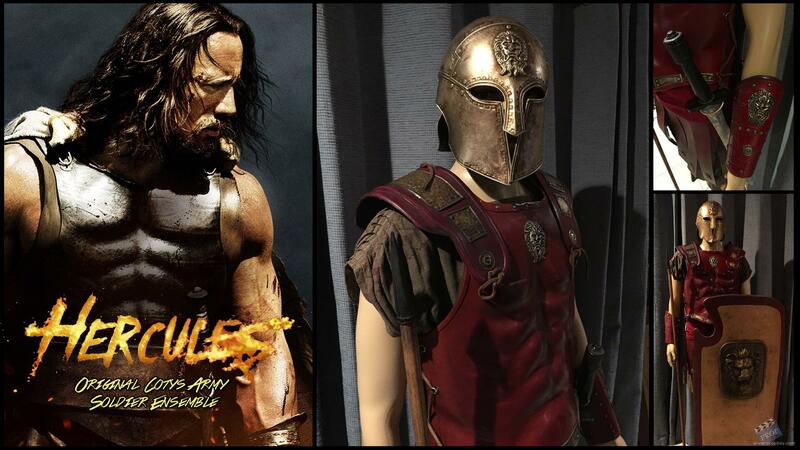 Original production used wardrobe from Brett Ratner's Hercules. This Costume Includes: A Helmet, Torso Armour w/ Pauldron, Tunic w/ Draw String At Waist Band, Skirt, Vambraces & Greaves plus sword, shield and spear. This Costume Was Worn By One Of Hercule's Soldiers After Hercules Took Over Training Of Cotys' Army. Added: 02-05-2015 - Viewed: 2295 times.